The "Grey Ghost" up close. 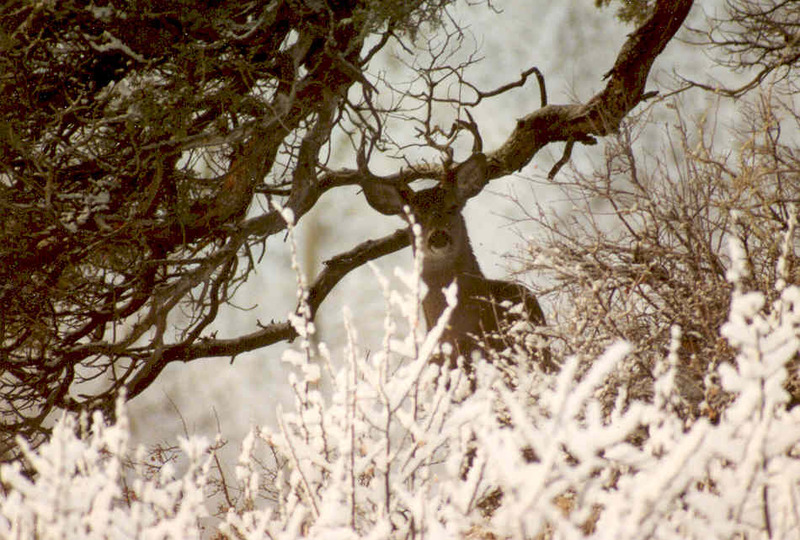 The coues deer range is Arizona, Western New Mexico and the state of Sonora in Mexico. Hunting them is beyond anything you've ever done before. Known as "poor mans sheep hunt" these cagey little deer live high up in the desert mountain ranges, preferring elevations from 4,500' to 6,500'. Please enjoy the photos as we don't currently offer guided hunts. 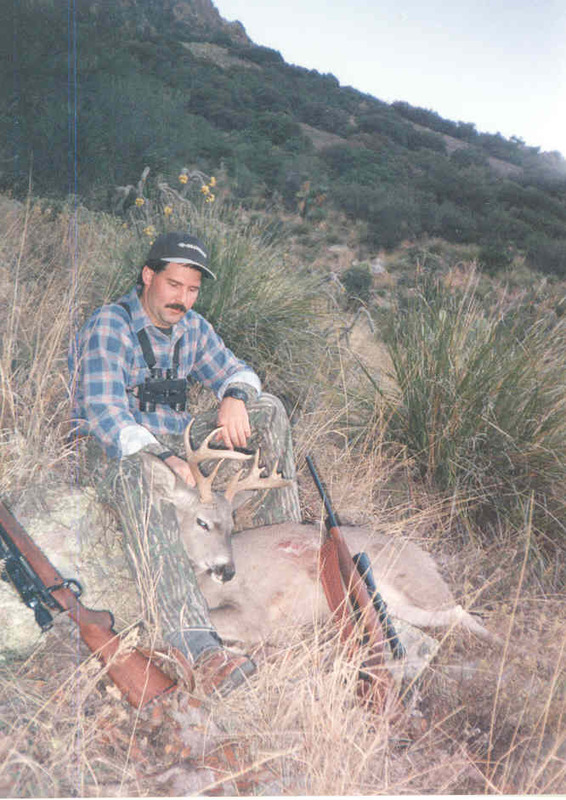 This buck was taken in December in Southeastern Arizona. The area was full of bucks and I chose this one because of his extra points. Kevin Lee, Mike Mineer and I all tagged nice bucks on opening day. We hung them in trees and came back to pack out the following day. Go to the photo album for more pictures of this and other memorial hunts.